Gimphoto Desktop is a small utilities that can unite scattered Gimphoto window into single user interface ala Photoshop interface. I know this feature is that the most wanted feature by GIMP and Gimphoto users. It tested under Windows 2000 and Windows XP, i hope it stable enough. This application has a list of great features but also have several limitations that i hope can fix it in the next release (its features and limitations stated at included manual). Even at Christmas holiday, i still bugging around with this little devil...hahaha...maybe sound a bit crazy...but i enjoy it, so i hope you also enjoy using it too! When can we see Gimphoto based on GIMP 2.4.5 ? thanks for the suggestion, but afaik gimp portableapps only works on Windows, so if i working using gimp portable version then there is no GimPhoto for Linux. i think, i still use gimp normal version, so my modification can be compiled under Windows, Linux, and even MacOS. Thanks a lot for your excellent program. It helps new Gimp users a lot, and makes the program much more usable on MS Windows. 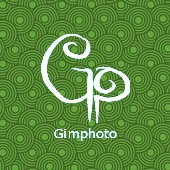 I look forward to experimenting with GimPhoto further.